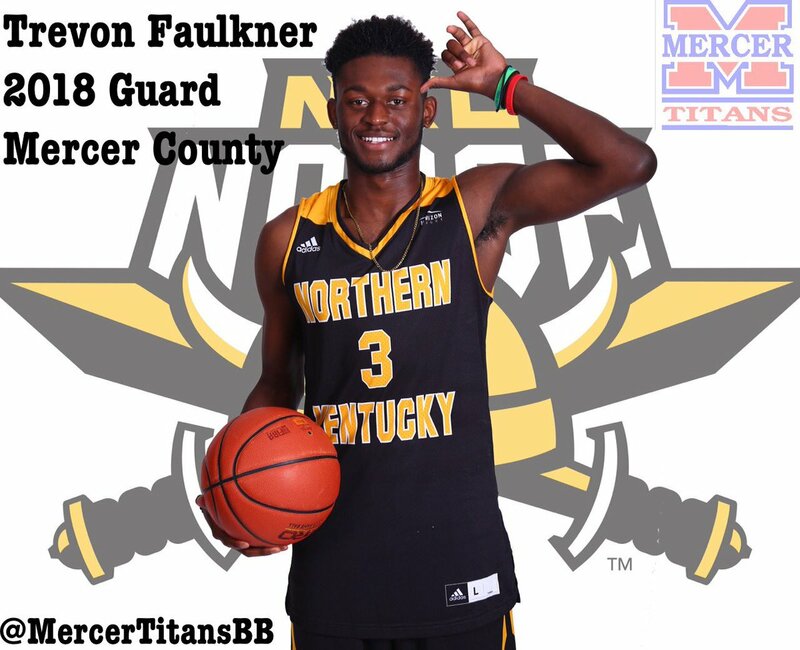 According to his high school’s Twitter account, Mercer County (KY) High School point guard Trevon Faulkner has verbally committed to Northern Kentucky. The 6-4, 180-pounder chose the Norse over offers from Western Kentucky, Wright St., Middle Tennessee St., Murray St., LA-Lafayette and Valparaiso. He becomes the first member of John Brannen’s 2018 recruiting class. Faulkner, a 2018 Kentucky Mr. Basketball candidate, also excels on the football field where he plays wide receiver and defensive back. He was named to the 2017 Lexington Herald-Leader All-State basketball second team for the second year in a row. He averaged 24.2 points per game in leading the Titans to the 12th Region finals. For more information on NKU recruiting, check out our recruiting page and talk about it in our recruiting forum.